Facing History and Ourselves Chief Program Officer Marc Skvirsky has received the 2014 Fellows Award from The Nantucket Project, an annual conference of leading thinkers and decision-makers working to spark meaningful conversation and meaningful change. "Marc is an incredibly thoughtful and empathetic moderator," The Nantucket Project Executive Director Kate Brosnan said in a post on the project’s blog. "He brings out the best in everyone during these discussions. He also sets a tone of civility and tolerance that is so important to us." "My passion is working with adolescents," Skvirsky says, "and giving them the tools to think like moral philosophers." 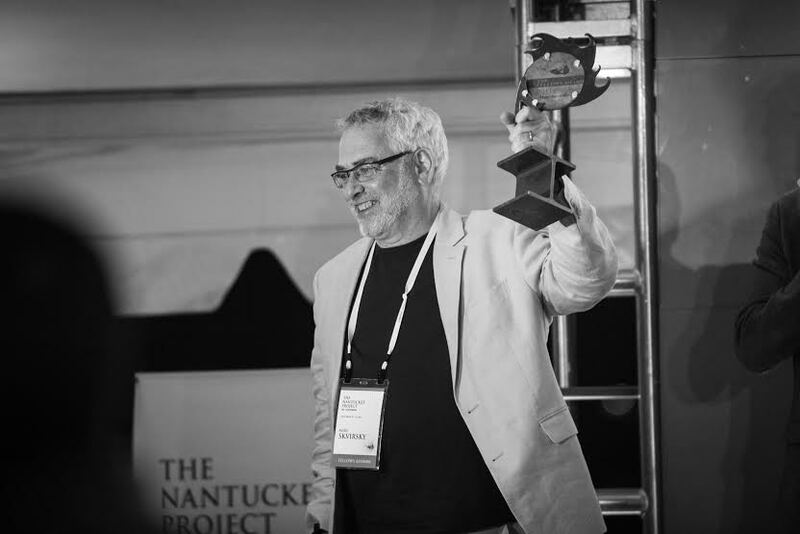 Marc Skvirsky receives The Nantucket Project's 2014 Fellows Award. Photo by Meghan Brosnan. Read the entire post on The Nantucket Project blog. Julia is Managing Editor of Communications and Social Media at Facing History. She loves young adult fiction, ice cream, and is a practicing yoga teacher.